Born in Cambridge, New Zealand on the 17th February 1919, Reece Discombe was first of all a professional deep-sea diver and naturally he was one of the first to use the autonomous deep-sea diving suit perfected by the Cousteau-Gagnan team just after World War II. A resident of the New Hebrides (today Vanuatu) since 1947, he carried out very many dives around the numerous islands of the archipelago and, further north, on the site of the wreck of Lapérouse’s ships at Vanikoro. In relation to this, he took part in the first research expeditions in the 1950s and 60s. In March 1958 an expedition organised by Pierre Anthonioz, French Resident Commissioner in the New Hebrides visited the site of the wreck of the Astrolabe. Reece Discombe, who had a good knowledge of the site, having dived on it several times, and Robert Charles, also a good diver, accompanied Pierre Anthonioz, as well as Jack Charles Barley, the captain of the Don Quichotte, the Residency vessel. In June 1959 Reece Discombe accompanied Haroun Tazieff to the site of the wreck of the Astrolabe, this time on the Condominium vessel, the Rocinante. They were accompanied by Jack Barley and a Belgian photographer, Jacques Théodor, a specialist in underwater photography. Reece Discombe gave a graphic account of this expedition in the South Pacific Magazine No.22, October 1959. Reece Discombe became a familiar face on the Vanikoro reef. He was to dive on it several times and methodically explored the southwest reef between the Astrolabe wreck passage and Bruat passage. Having interviewed the inhabitants of Vanikoro and the last employees of the Kaori Timber Company, who had discovered objects which came from the remains of a ship situated at the bottom of a fault on the outside of the reef, as early as 1962 he was convinced that this was certainly the site where the Lapérouse expedition’s second ship lay. In February 1964 he returned to the site with the French Resident Commissioner in Port-Vila, Mr. Delaunay, who confirmed that the vestiges discovered at the new site, known as the fault, were indeed from one of Lapérouse’s ships. Reece Discombe was associated with the major French Navy expedition, organised in March 1964, with the Dunkerkoise, under the command of Captain Maurice de Brossard, head of the Navy Historical Service. As a member of the diving team, which included among others Dr Merlet, Chief Naval Medical Officer Becker and Yves Magnier from ORSTOM, Reece Discombe led the team to the site of what proved to be the place where the Boussole broke up and sank in May or June 1788. Over a period of years of research on the sea floor, a myriad of objects were recovered, such as those coming from American vessels sunk during the Pacific War or materials thrown into the sea when troops stationed in the archipelago departed. So the story is told of the 14 bulldozers brought up to the surface and of the 100 tyres which had been sent to the bottom. Reece Discombe was also one of the very first to have dived on the wreck of the President Coolidge in Santo. As often as possible the modern maritime adventurer worked in collaboration with scientists. 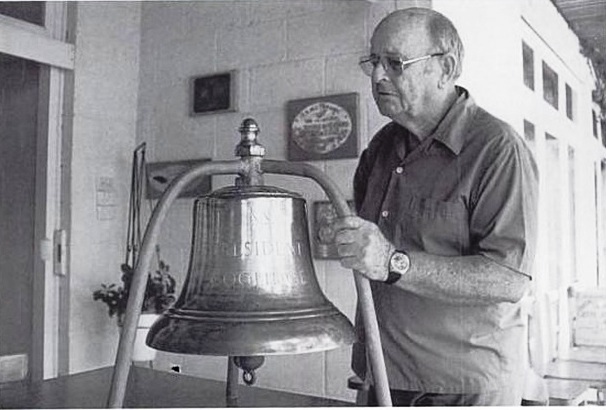 His participation in the search for the wrecks of numerous warships, lost aeroplanes and the bodies of pilots lead to his being particularly well-known and honoured by the US Navy. He became a correspondent of the famous Missing in Action Hawaii group, which specialised in searching for those who went missing in action. Reece Discombe leaves the memory of a man of action, generous of spirit, one of the pioneers of underwater research in the South Pacific. He was a witness of the history of his times and lived his life in the service of maritime discovery. Translated by Dr Darrell Tryon from an obituary by Gabriel Vallet (GV) in Société d’Etudes Historiques de la Nouvelle-Calédonie, Bulletin, No.152, Sep 2007, pp.74-75. Extract from Bob Langdon’s unpublished second volume of his autobiography, Every Goose a Swan (PMB 1230) Reece Discombe and his wife Jean, both New Zealanders, were at the airport to meet me. Reece was a humorous, strongly built man in his early forties with only one good eye. He had not had much schooling but was a mine of information about everything relating to the New Hebrides. I gathered that he had lived in Vila since the end of World War II and ran a motor garage and an electrical workshop on the waterfront. In the previous few years, he had also developed a profitable sideline as a maritime salvage expert and had been on two French expeditions to Vanikoro to recover relics of La Perouse’s Astrolabe. He had been there again the previous June to investigate the possibility of salvaging a cargo of jettisoned brass. This had given him the opportunity to search for the wreck of the Boussole, which he had tried to pinpoint by closely reading the accounts of Dillon and others. He had found it while swimming over the outer reef. Something glinting on the seabed had caught his eye. It proved to be the edge of a French gold coin almost completely embedded in coral. The principal wreckage comprised anchors, lead blocks, cannon, and such like….. Discombe did not get the recognition for his discovery in the world’s press that he had hoped for. However, his moment of glory did come. 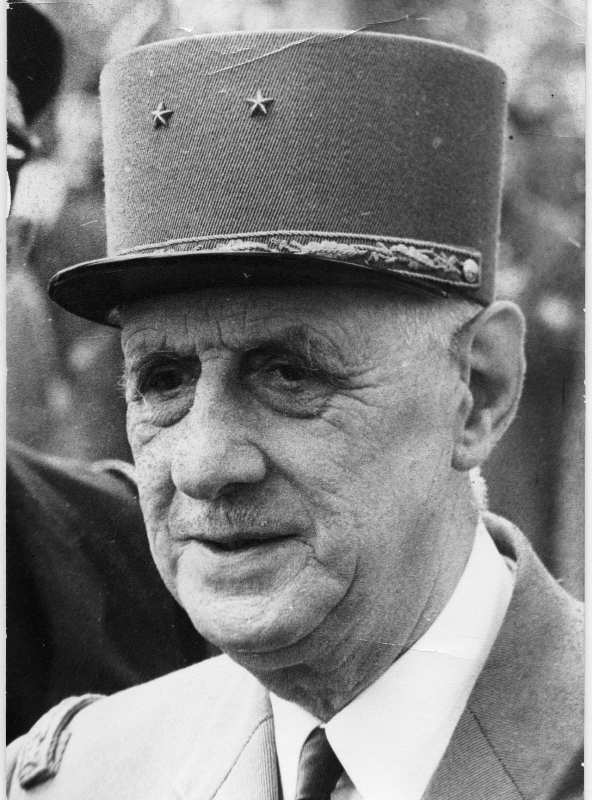 About four years later, General de Gaulle visited Vila as President of France and personally invested Discombe with the insignia of officer of the National Order of Merit, France’s civilian equivalent of the Legion of Honour. He was a bit miffed, though, that the fate of one of France’s most celebrated explorers had been revealed by a mere New Zealander. ‘It’s a pity you’re not a Frenchman’, he said as he hung the ribbon around Discombe’s neck. Reece Discombe, died on 2 June 2007, aged 88.